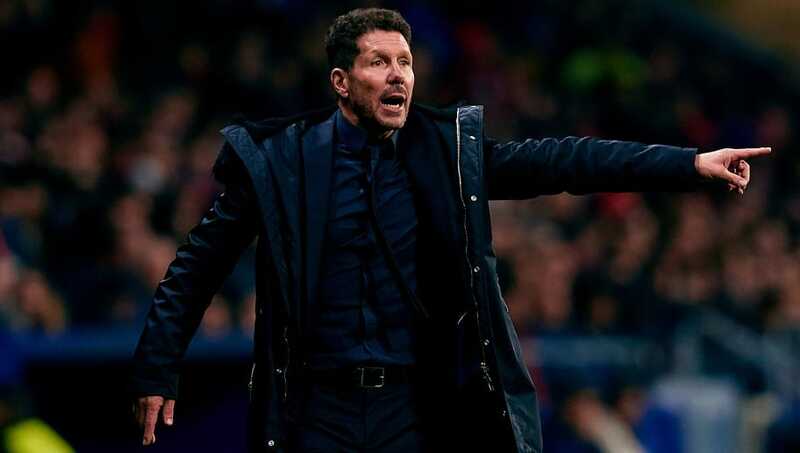 Atletico Madrid manager Diego Simeone quietened talk of featuring at this season's 'home' Champions League final, despite seeing his side comfortably progress into the last 16 with their 2-0 win against Monaco on Wednesday. An own goal from 17-year-old Benoit Badiashile and a strike from France World Cup winner Antoine Griezmann was more than enough for 10-man Atletico to see off a struggling Monaco side. With this season's showpiece final being hosted by Los Rojiblancos' own Wanda Metropolitano stadium, Simeone's men have extra incentive this year to make it right to the very end. However, speaking in his post-match press conference, the Argentinian manager revealed that it would be counter-productive for his ​Atletico side to start thinking of a potential final at their home ground and urged his players to remain focussed. He said, (as quoted by ​MARCA): "I don't think about it that much because it's far away. It wouldn't do us any good to analyse and think about and get excited about that. "Reality is what matters. We've been putting together a very good Champions League campaign and will be in the last 16 again." Simeone acknowledged that after being dumped out of the group stage last year when they finished behind both ​Chelsea and AS Roma, the ​La Liga side have improved in this season's Champions League. He added: "Since the Champions League started we have been clear about our plan as a result of what happened last year. "​Apart from the ​Borussia Dortmund game, where we became disorganised at the end, we've been having a very good campaign."